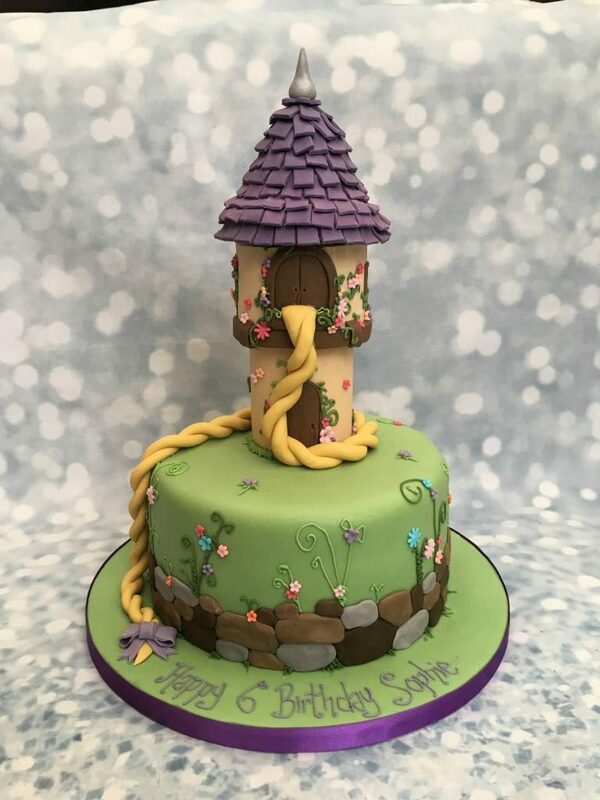 A wonderful Rapunzel/ Disney Tangled theme cake fit for any birthday princess this is a taller height 8″ round cake. 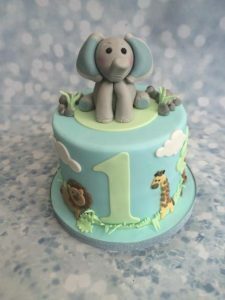 Covered in green with a range of stones and pebbles around the cake plus a selection of piped vines with blossoms. 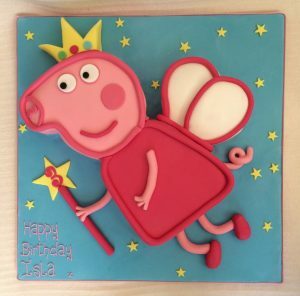 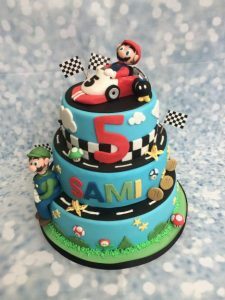 The centrepiece of the cake is non-edible, handmade tower with hair tumbling down the tower and around the cake. 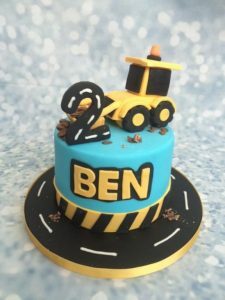 Cake size can be adjusted to suit.